Whether or not you are a country music fan, you may have heard recently that grammy-winning country singer Randy Travis has been left unable to speak or sing due to a stroke he suffered last year. After his stroke in July 2013, he was able to restore much of his motor functions with physical therapy, but has not regained his speech. According to the National Stroke Association, stroke, or cerebrovascular accident (CVA) usually affects one side of the brain. Movement and sensation for one side of the body is controlled by the opposite side of the brain. What does this mean? If a stroke affects the left side of the brain, there will be problems with the right side of the body. Some of the problems that happen after stroke are more common when stroke occurs on one side of the brain versus the other. 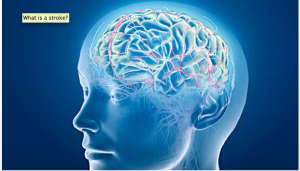 The left side of the brain controls the ability to speak and understand language. The right side of the brain controls the ability to pay attention, recognize objects and people, hear or touch, and be aware of your own body. In some left-handed people, language is controlled by the right side of the brain and awareness by the left side of the brain. One of the biggest effects of stroke on speech and language is Aphasia. Aphasia is a disorder caused by damage to the portions of the brain that are responsible for language. While Aphasia usually occurs suddenly, often as the result of a stroke or head injury, it may also develop slowly, as in the case of a brain tumor, an infection, or dementia. The disorder impairs the expression and understanding of language as well as reading and writing abilities. There are two basic types of Aphasia: fluent and non-fluent. People with fluent aphasia, also called Wernicke’s or receptive aphasia, may speak in long sentences that have no meaning, add unnecessary words, and even create made-up words. For example, someone with Wernicke’s aphasia may say, “You know that smoodle pinkered and that I want to get him round and take care of him like you want before.” It is often difficult to follow what the person is trying to say. People with Wernicke’s aphasia usually have great difficulty understanding speech, and they are often unaware of their mistakes. These individuals usually have no body weakness because their brain injury is not near the parts of the brain that control movement. Non-fluent aphasia is often referred to as Broca’s aphasia. People with Broca’s aphasia have damage to the frontal lobe of the brain, resulting in speaking in short phrases that make sense but are produced with great effort. They often omit small words such as is, and, or the. For example, a person with Broca’s aphasia may say, “Walk dog,” meaning, “I will take the dog for a walk,” or “book book two table,” for “There are two books on the table.” People with Broca’s aphasia typically understand the speech of others fairly well. Because of this, they are often aware of their difficulties and can become easily frustrated. People with Broca’s aphasia often have right-sided weakness or paralysis of the arm and leg because the frontal lobe is also important for motor movements. The National Stroke Association has a detailed chart of all symptoms associated with stroke. 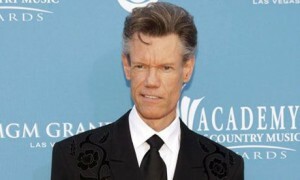 Will Randy Travis be able to talk or share his award-winning singing voice again? It may be too early to tell. While reports indicate that he is still unable to form a complete sentence, his therapist claims that it wouldn’t be out of the question for him to return to the stage in three years. ← Protect Your Hearing on the Fourth!